Local Action Resumes at Spence Field! As the SCCA Championship Tour departs from Dixie, we shift our focus back to local action at Spence Field in Moultrie, Georgia. Evo School Phases I & II, followed by 2019 Solo Event #03. Registration information available by clicking on the links below! 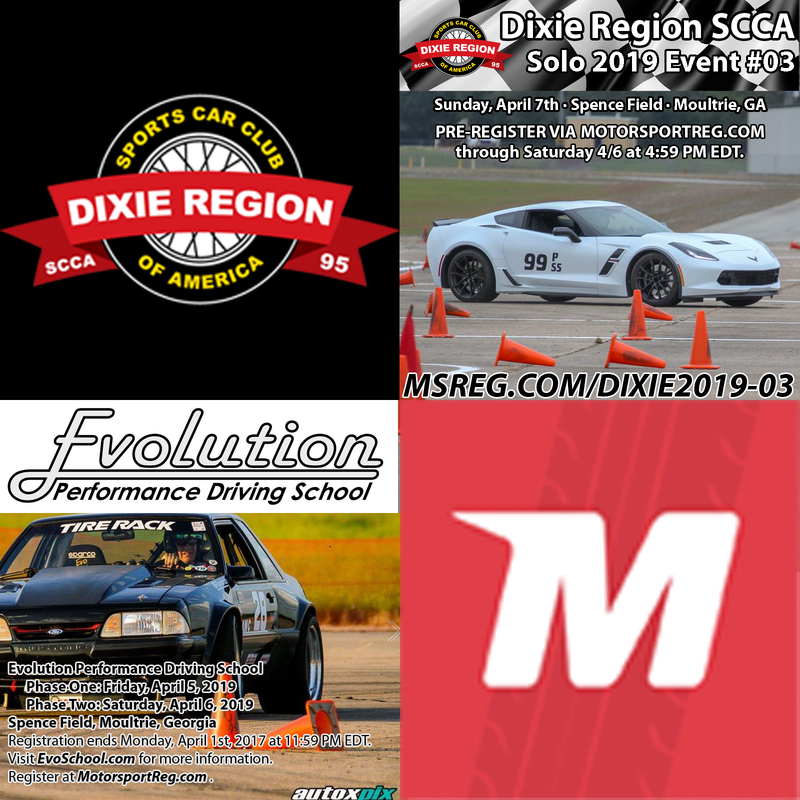 What an incredible way to wrap-up the 2018 Dixie SCCA Solo Season. Thanks to everyone who participated this year. If you haven't joined us yet, what are you waiting for? Find Your Fun and join us soon for some #FUNWITHCARS! Stay tuned for an announcement regarding our Year-End Awards Banquet! Click here for more information regarding our 2019 Event Schedule. 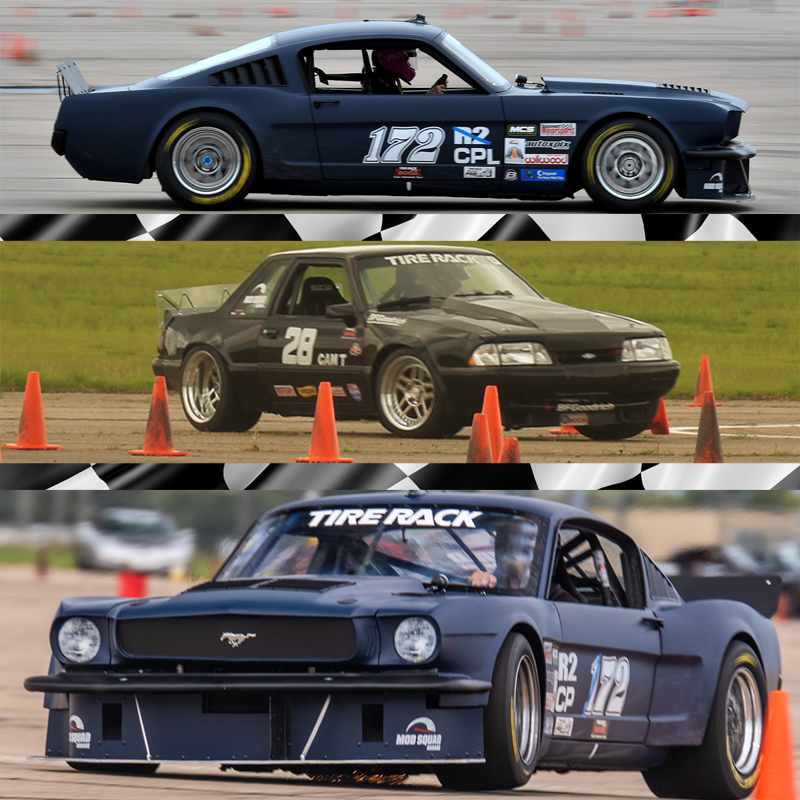 Pictured at Right, Top to Bottom: 2019 CPL National Champion Tracy Lewis, CAM-T Trophy Winner Rob Ippolito, 2019 R2 Pro Solo Champion Robert Lewis. PAX can best be described as a relative index for Solo, much the same way a handicap rating is given in the game of golf. PAX indexes are based on results from over 500 Solo Events around the Country in 2018, including the SCCA National Championships. How strong a class performs compared to all the other classes represented determines the PAX indexes. A Modified is considered the fastest class and has a PAX of 1.00. All other PAX indexes are a percentage of that. The 2019 PAX/RTP are calculated by Rick Ruth and can be viewed here.